After three wars with Mega Man, Dr. Wily is nowhere to be seen. He might have been killed in the previous scrimmage with Mega Man or might have retired after three loses. Out of nowhere, a relatively unknown scientist named Dr Mikhail Cossack appears and challenges Dr. Light for scientific supremacy. Dr. Cossack felt that the world was overrating Dr. Light and under appreciating his genius. 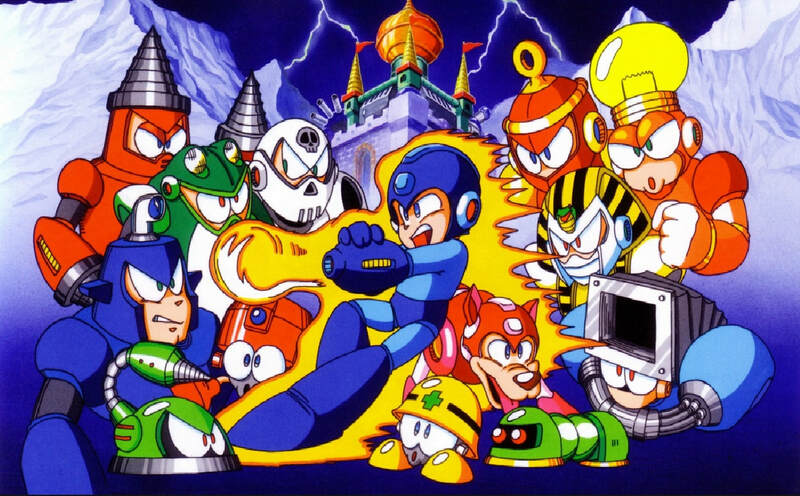 Dr. Cossack then set up a fortress in Siberia and deployed eight robot masters - Drill Man, Pharaoh Man, Ring Man, Skull Man, Bright Man, Dive Man, Dust Man and Toad Man to conquer the world and to destroy our favorite Blue Bomber. What are Dr. Cossack's motives? Why does he hold a grudge against Dr. Light and Mega Man? What have they ever done to him? Only time will tell.